Jonathan Steel is an Angry Man! 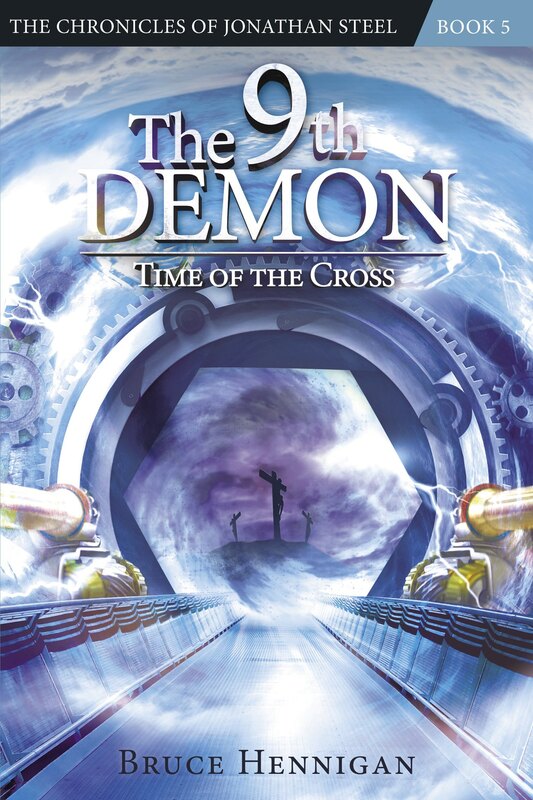 By now some of you may have picked up a copy of “The 13th Demon: Altar of the Spiral Eye”. If not, why not? If you like exciting, fast paced thrillers you’ll like this book! If you want a touch of romance, you’ll like this book! If you want to see a tough guy fighting against the forces of evil, you’ll like this book! And, if you’re a teenager tired of sparkly vampires and doe eyed lovers, you’ll like this book! 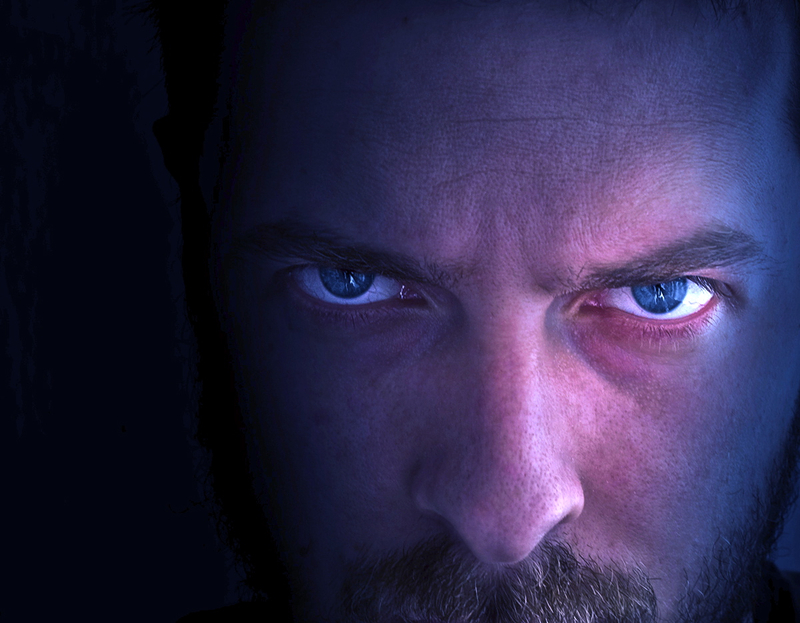 Right off the bat, you’ll learn that my main character, Jonathan Steel is an angry man. His fuse is very short. And, his fury comes quickly and full blown. Why would I create a character with so much anger? Because all of YOU are full of anger! And, of course, me, too! Our society is on the simmering verge of violent anger all the time. Just try and drive down a crowded highway and see if someone doesn’t blare their horn at you because you were a microsecond too slow in coming off the brake. Or listen to the person at the next register scream their way through a botched sale. Better yet, try and convince your customer that you did all you could to please them. Anger is all around us. Why are we such an angry society? In our postmodern society, relativism is the rule. What is good for you is not necessarily what is good for me. This frame of reference puts an awful lot of stress on an individual. You see, when there are no external absolutes, then it is up to us to decide what is right and wrong. Now, I don’t know about you, but accessing each and every tiny little interaction with the world around to decide if it is “right” or “wrong” can get very tiring. Not only that, but when I decide something is “wrong” you might decide the same action is “right”. And, instantly we are at each other’s throat. Not only that, but our naturalistic society claims that human beings are NOT special. Just look at that shark billboard not too long ago put out by PETA. I mean, they actually felt sorry for the shark (not the human whose leg was bitten off) because it would be thrown on dry land and smother to death. Come on! You’re telling me that if your significant other falls into the ocean and is about to be eaten by a shark and all you have at your disposal is a rifle, you would let the shark chow down? That is INSANE! Human beings are SPECIAL because we are made, wait for it, in God’s image. We are not animals. We are not equal to sharks. We are at the top of the food chain. And, while God has given us specific instructions to care for the planet and its inhabitants, (which we have ignored!) we are still omnivores. And that means that somewhere along the line, something has to die for us to survive, even if it is a banana! This lack of respect for humans as special and made in the image of God, reduces our value in the eyes of society and in the eyes of other humans. Suddenly, my rights are more important than anyone else’s rights. I’m not sure how that plays out given that each individual is NOT special, but we are, after all, wonderful at rationalization even when the rationalization is decidedly NOT postmodern. And so, when everyone else’s value falls to zero, my value rockets to new heights. It is I who deserve special treatment. My needs are paramount. Forget my fellow man. Let them go feed the sharks! Hey, idiot in the green car? Forgot how to signal? Well, take this! This weekend, I am traveling to Lexington, Kentucky for the “God in the Dock” apologetic conference. I am sure that somewhere between my home and the final destination at the airport, I will get angry. But, in spite of that inevitability, what I have just talked about is an “apologetic” issue. The issue of human value and human worth is part of a person’s worldview, how you view reality. Apologetics is the defense of the truthfulness of the Christian faith based on sound, rational evidence. And, so, losing one’s temper is really a matter of applying an apologetic issue. Is every person equal in the eyes of God? Is every person deserving of respect? Is every person of value? Important questions for our times. For, if we answer ‘no’ to any of these questions, we ultimately doom ourselves to a fate worse than death. We head down the path toward Nazi Germany or Stalin’s Russia or Pol Pot’s Cambodia. As our anger spirals more and more out of control, the day will come when a car horn will be replaced by a gun; when an organization will no longer put up billboards but start dumping sharks into swimming pools; when anger is the dominating emotion. To conquer anger, you must begin with respect for others. Tough? You bet you. Hard? No doubt. In fact our country fought a bitter civil war over this issue. Want help understanding anger? Pick up a copy of my book, “The 13th Demon: Altar of the Spiral Eye” and join me on a journey with Jonathan Steel as he tries to understand the source of his anger and ultimately, how to control it instead of letting it control him! What do you think about the value of human life? Do you struggle with anger? Or, is it just the other guy? Let me hear from you! Posted on October 11, 2011, in Apologetics, My Writing, Speculative Fiction, Steel Chronicles. Bookmark the permalink. 1 Comment. Jonathan Steel is an angry man and we know that “hurting people hurt people”. It is fitting that Steel has the turguoise eyes–there is nothing that scares me more than the go to THE DEVIL look given by someone with blue eyes!!!!! I would quiver with fear if that look came from Jonathan’s eyes. I have a son with blue eyes and they are so expressive –love or anger–not hidden by brown or green.